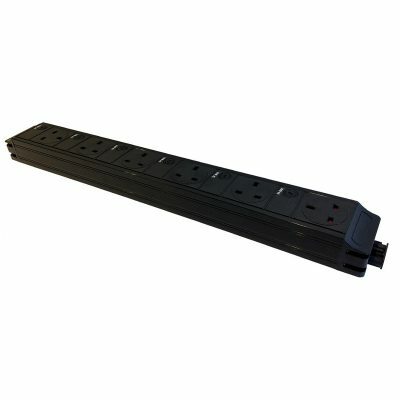 This highly practical Power Pack under desk power unit with 2 x UK Sockets and 2 x 6C Cutouts provides 2 x individually fused UK sockets and 2 x 6C size cutouts in a unit that can be mounted underneath a desk using the integral mounting brackets or using cable tray mounted to the underside of a desk. 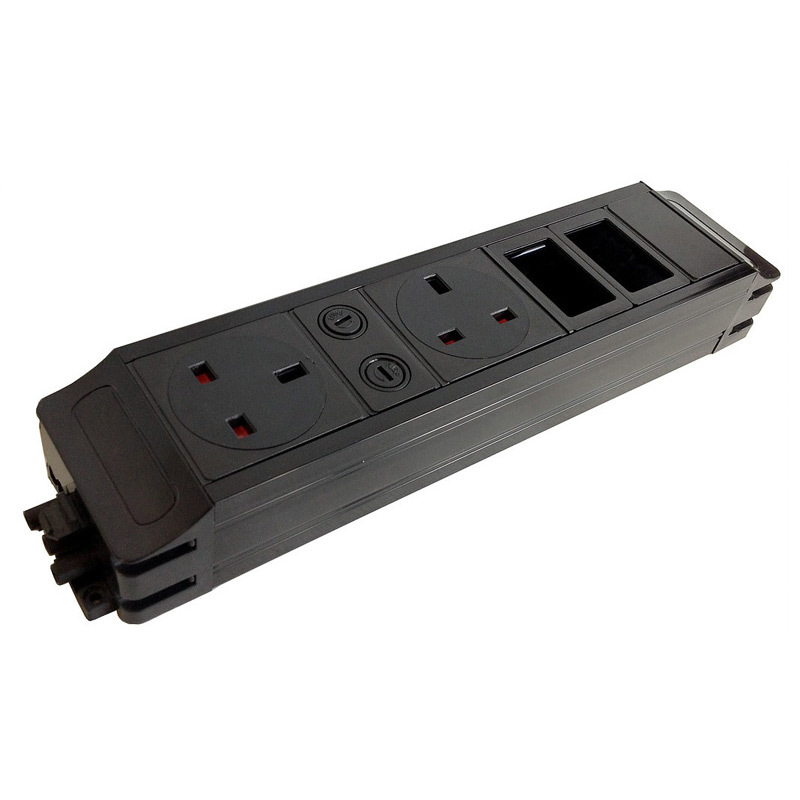 A range of Socket and LJ6C cut out configurations are available. Note: Each unit requires a Start Lead and LJ6C size outlets. Not included. 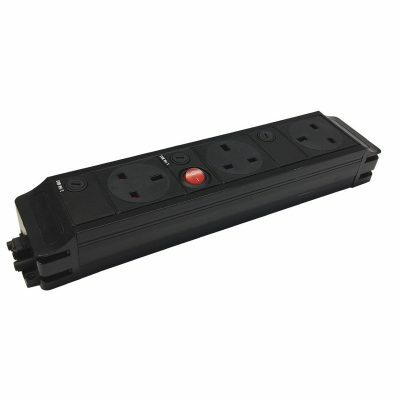 The Power Pack offers a low cost, easy solution to providing power and data outlets to a desk. 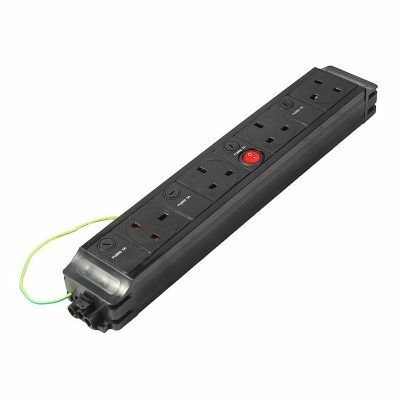 The LJ6C size cutouts can be populated with any combination of standard 6C size data or multimedia outlets providing flexibility to suit the requirements of a particular desk or workstation. Data cables would exit through the unit end cap. 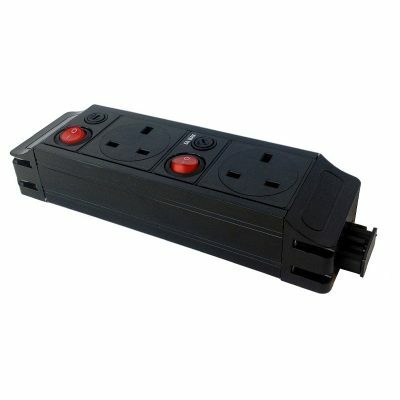 There is a fixed 150mm earthing lead, which is terminated with a ring terminal. Custom power lead lengths are achievable by using Start Leads ranging from 1 to 10 metres in length.